Practice leads to improvement if the practice environment is conducive learning and embedding new muscle memory. The video clip below shows one of our Total Immersion Ultra Efficient Freestyle groups practicing their skills that were set for homework! 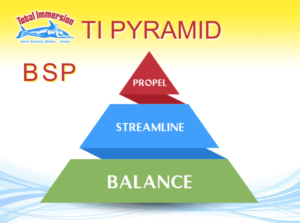 Over this 3 week TI Level 1.0 program, swimmers are given a progressive sequence of skills and drills, based on the TI Balance, Streamline, Propel model. 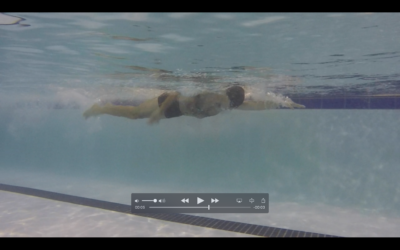 In the previous week to this video clip, we had gone through the focal points for recovery arm mechanics, and whole stroke timing. Participants were given clear practice goals for the week and came back to impress the Coach. Dry Land swim practice’s are a great way to improve your swimming skills and knowledge. Using either horizontal, vertical or ‘leaning’ position the swimmer is able to practice on a solid, stable surface, rather than in the unstable environment of the water. The movement can be carried out very slowly, which is important for corrective work, and embedding new movement patterns. The swimmer is often able to ‘see’ what they are doing; using a mirror is ideal for this purpose. The swimmer can feel the correct muscle engagement, and trajectory of the arm or body part throughout the movement. As a Total Immersion ™ swim coach, we utilise either standing, lying or ‘leaning position’, to introduce and develop new skills, drills, and sequences, especially through the cognitive phase of skill development. Elbow moves away from the body, not up, backwards or behind – staying in the frontal plane of the scapular range. Again, limiting the possibility of impingement, which can stress the joint and be injurious over repetitive movements. Elbow is ‘high’ and fingers low, NATURALLY due to rotation, and good balanced body position from head to heels there is no active lifting of the arm up, backwards or away from gravity. We ask swimmers to maintain ‘fingers to floor’ contact, this is a great reference point for the swimmer to feel the forwards movement of the arm in recovery, thereby capturing important inertia effect of the moving weight of the arm. Observe how the hand position stays in the same plane i.e. back of the hand faces forwards, and palm faces backwards throughout the entire movement. Avoiding internal rotation from the shoulder joint that causes the familiar ‘palm outwards’ appearance. The swimmer arrives at the final ‘entry’ position of the movement, poised – they get a chance to feel how the torso rotation is maintained right up to the point of entry. 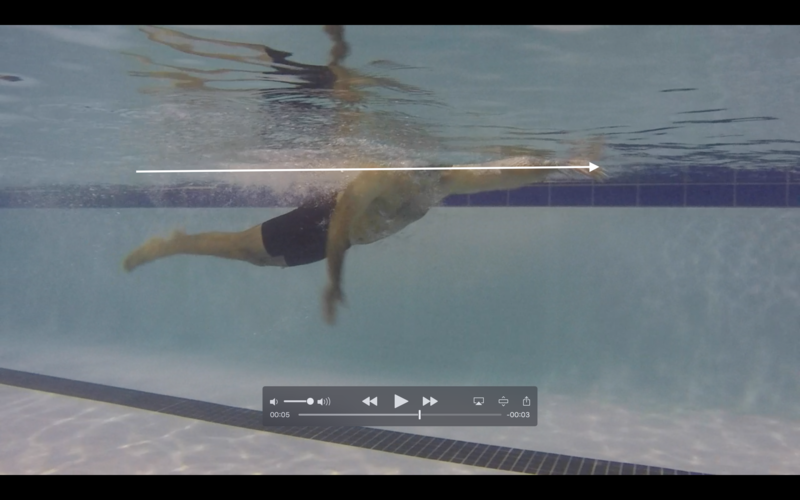 Rather than moving towards flat, as the arm moves forwards in recovery – as we see in many swimmers. 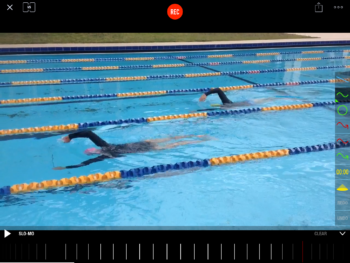 Join our Swim Technique Discussion Group on Facebook for more swimming tips and tricks! What is the difference between Total Immersion Swim programs and traditional / conventional form of delivery? 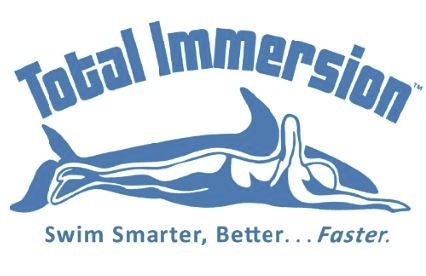 Total Immersion ™ methodology drills and skills correct the stroke faults and habits that keep athletes from swimming smoothly without effort. 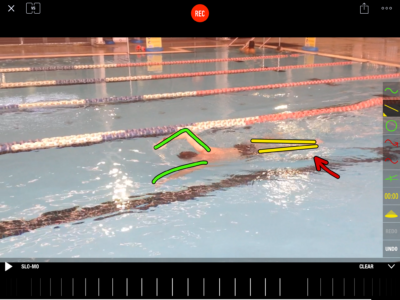 The in-depth progression moves the swimmer towards a stroke the offers continuing possibilities for improvement. Here are some of the key difference’s in how we understand and approach the teaching and learning of swimming. 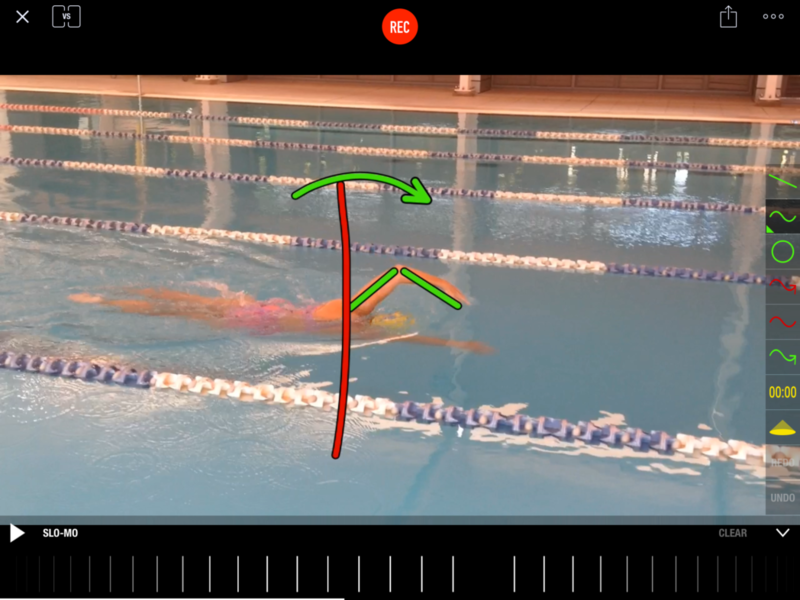 Generally but not exclusively coaches instruct from the poolside Coaches work in the pool and hands on with the swimmer, live, relevant demo;s and immediate hands on correction. Cooperate with Gravity– Most swimmers fight gravity trying to stay on top of the water. We teach you to find your natural equilibrium by sinking into weightlessness. Learning to relax into the water breaks the “survival- stroking” cycle, and frees your arms and legs for their best use. Besides, gravity is a powerful natural force; doesn’t it make more sense to use it than fight it? Take the Path of Least Resistance– Once you understand that you must swim through the water — and mindful that water is almost 800 times denser than air — it’s logical to focus more on how well you streamline your body, than how hard you pull and kick. We’ll teach you to shape yourself to cut through the water like a torpedo by alternating a right-side-streamline with a left-side-streamline. Each stroke will move you farther and faster with less effort. 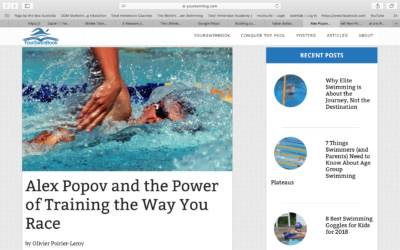 Swim with your Body– Traditional thinking about swimming treats the body as having an “arms department” that pulls you forward and a “legs department” that pushes you forward. 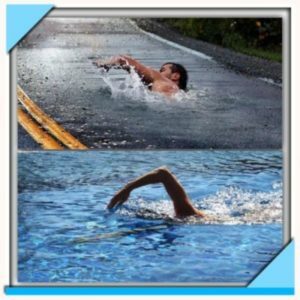 In TI ™ learn to swim with your whole body, instead of your arms and legs. We’ll teach you to propel with a simple 2-beat kick, relaxed and rhythmic weight shifts, rather than arm-and-leg churning. Breathe Easy – We’ll also teach you about breathing easily as you swim. No more breathlessness, no worries about choking. The air is free, take all you need. Courtesy of the late Terry Laughlin CEO and Fonder of Total Immersion Inc. Swimming offers a smorgasbord of complex challenges for the novice, and at times, the higher skilled swimmer. 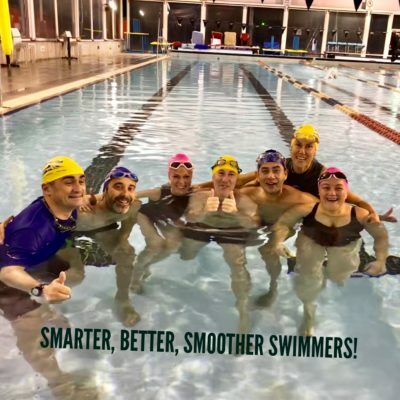 At Swimlab, we truly recognise and problem solve the swimming challenges that ‘adult onset’ swimmers face when working towards their goals; with our coaching expertise and Total Immersion method as the back bone of our coaching principles, we strive to make the struggle, confusion and lack of progress a thing of the past. Few humans find swimming ‘well’, an easy pursuit. Those who do, the ones we envy as they cruise effortlessly up and down the pool, lap after lap, are in the minority. They no doubt came through the youth age group swimming system; completing hours of daily swim squads from pre-teen years, through adolescence and for some into early adulthood, performing all 4 strokes in swim carnivals and competitions on a regular basis. The vast majority of adult swimmers did not take this path, and now find themselves what we term, an ‘adult onset swimmer’. Somewhat frustrated, exhausted, confused and vulnerable as they try to navigate this swimming thing, (with an adult sized body). Motivations often deflated further when they tackle swimming through any ‘standard’ child based curriculum. So let’s peel back the layers and look at the reasons why swimming gives the human brain and body and body such a challenging time. The average human is only 3% efficient in the water, yes, as terrestrial mammals we waste 97% of our efforts in moving forwards. Elite / and super elite probably make it to a whooping 7-8% efficiency! Just think about that dismal statistic for a while! Humans become SURVIVORS in the water. Because of the marginal perception of a ‘life threatening activity’, our sympathetic (flight/fright nervous system) is often triggered through the amygdala, resulting in erratic, uncoordinated movements that increase heart rate. We need to access our parasympathetic, or calm nervous system in the cerebral cortex for improved learning, proprioception and the development coordinated movement patterns. When we swim we go from vertical to horizontal, which means a radically different balance adjustment for the brain. When we swim we hanghorizontally from our centre of gravity; rather than our regular vertical position – where we stand on or through our centre of gravity. This makes ‘movement’ and propulsion a whole new ball game. Water is a moving, slippery and unstable body, not solid platform. This is a game changer for the brain, which immediately feels lack of stability and imbalance in the moving medium. We have no solid surface on which to leverage and structure our propulsive movements, like we do on earth or a bike pedal. Most lower skilled swimmers MOVE AROUND in the water, and move THE WATER around. For want of a better term they spin their wheels, making wasteful movements, not going any further or faster. When we really begin understand the foundations of better swimming, we discover how to move our body THROUGH the water, working on shaping the body into a vessel rather than making excessive effortless movements. Because of the change in body position and lack of visual cues, self-perception and proprioception (the ability to sense where our limbs are and how they might effect movement) are greatly affected. We must re-train the brain to develop these essential skills when learning or correcting stroke mechanics. When swimming, we can no longer breath freely. Breathing is restricted into a confined time and space, where there is an added threat of not actually getting a breath. Going back to 2. this is a major cause of the flight / fright response being activated in many learner and progressive swimmers. Be aware! The coach who says ‘you just need to be fitter!’ What is the point in working on ‘fitness’ when our efforts and wasted to that degree mentioned in point no. 1 (3% efficiency) Yes, there is a place for metabolic conditioning but the bottom line is…….you cannot out train an inefficient stroke, or reach optimal performance unless your stroke is within reasonably correct biomechanical parameters. 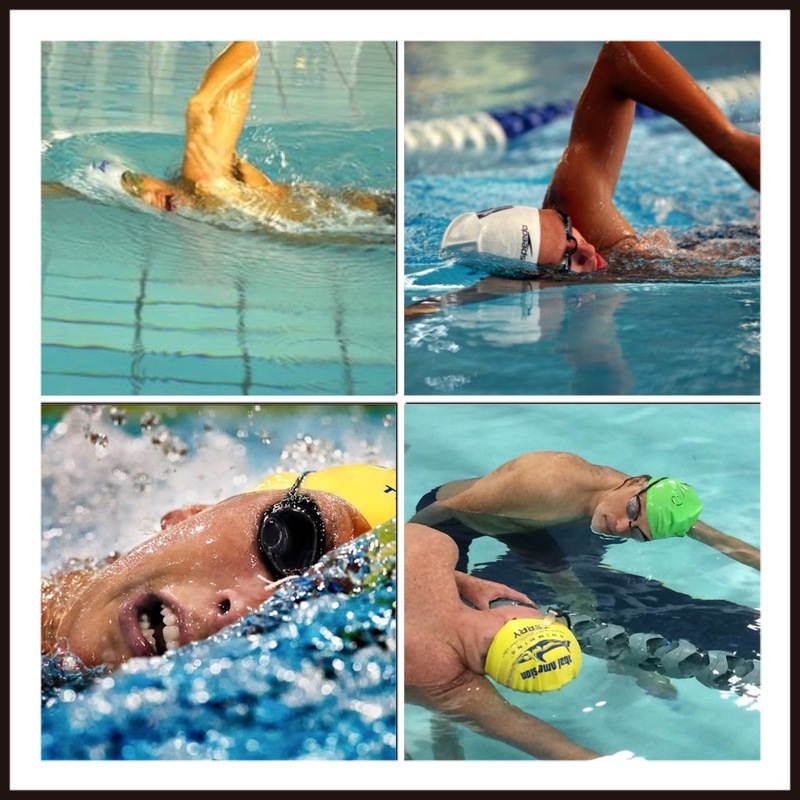 Any Total Immersion ™ swim coach, takes time to understand the impact of these challenges on all levels of swimmer. There is a principled approached, understanding the physics of the human body in water, we strive to to problem solve and correct through education and awareness, helping the swimmer become their own best coach!